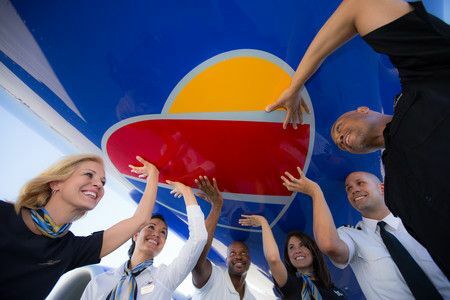 Southwest Airlines VP of people shares the brilliant ways her company has thrived in an industry plagued by burnout, turnover, and uncertainty. After the economic and political uncertainty following the September 11 terrorist attacks, there was only one major airline that remained profitable in the United States: the low-cost budget carrier Southwest Airlines. The company attests that its business success is the result of its “people first” strategy, where employees are brought into a culture that supports them and provides a unifying environment where they will want to exceed expectations to help customers and colleagues. Finding candidates who will be a good fit for this culture is an important first step. “We have two main focuses: first, hiring people who feel that this job is a calling; and second, working to get out of their way,” said vice president of people Julie Weber. Once candidates have been screened for these qualities, they are flown to headquarters for an orientation called “Freedom, LUV, and You” (FLY). During this FLY training, recently recruited workers spend an entire day learning about Southwest Airlines’ history and culture. Every new hire takes part in this introductory course, regardless of job title or department. Finally, in order to demonstrate its commitment to an empowered workforce, the company has a strict “no layoff” policy that remains in place regardless of financial pressure. Instead, it will do whatever it can to offer voluntary early retirement or cut costs in an area unrelated to labor.